China is in the midst of a high-wire balancing act over the yuan. The currency plunged against the dollar at the start of this year, fueling turmoil in markets around the world. But it has recently clawed back much of those losses, leaving investors guessing on where it's headed next. Despite some recent reforms, Beijing still retains significant control over trading in the yuan. But its task has become a lot trickier amid slowing economic growth and efforts to gain global acceptance of its currency. Huge sums of capital have poured out of China, and the country's central bank has had to delve into its foreign-currency war chest to prop up the yuan. 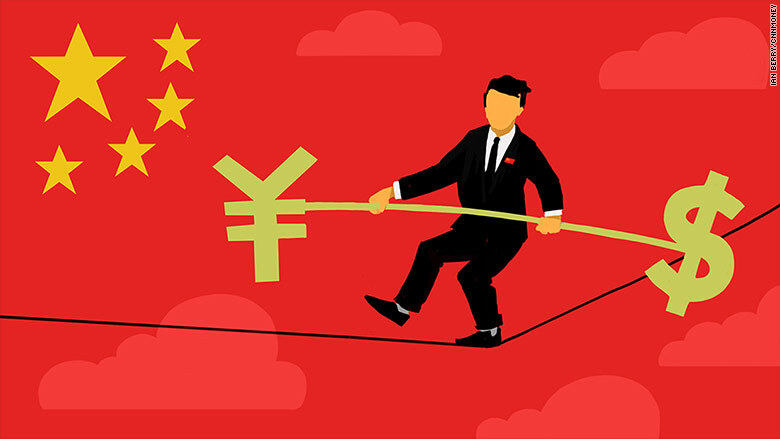 The big fear is a sharp devaluation of the yuan that "could trigger significant financial market volatility, generating shock waves that would affect the wider global economy," said Andrew Colquhoun, a senior director in Asia for the ratings agency Fitch. Analysts have estimated that hundreds of billions of dollars -- perhaps as much as $1 trillion -- flooded out of China last year. When money leaves the country, it means investors are trading their yuan for dollars, euros and other currencies, putting pressure on the yuan. China has tried to offset that by using its vast stockpile of foreign currencies to buy yuan. It's an approach many countries use, but it can take a toll on central banks' reserves. Some experts have suggested Beijing could try to curb the amount of funds flowing across its borders by strengthening controls. Right now, individuals can only move a maximum of $50,000 out of the country each year. But that limit hasn't been enough to stop the outflows, as people have found ways around the rules. "Tighter capital controls look like the line of least resistance for the Chinese authorities," Colquhoun said. But they would only be "a temporary solution," he warned, as "experience suggests households and corporates are ingenious in devising ways to circumvent controls." Such a move would also go against the market-focused reforms that Beijing has pursued in the last few years. The country's central bank governor, Zhou Xiaochuan, said in a rare interview with a Chinese business magazine over the weekend that he didn't plan to go down that route. Even so, Colquhoun said there was "already anecdotal evidence building that regulators have adopted a stricter approach to enforcing existing controls." Opinion is divided on whether China's current approach of eating into its currency hoard to manage the yuan is sustainable. It burned through a record $108 billion in December and a further $99.5 billion last month, taking its remaining stash down to $3.23 trillion, the lowest level since 2012. That's still "a substantial war chest," said Rajiv Biswas, chief Asia-Pacific economist at IHS Global Insight. But he warned that "the mathematics around this rapid pace of depletion of FX reserves in recent months is simply unsustainable for any length of time." 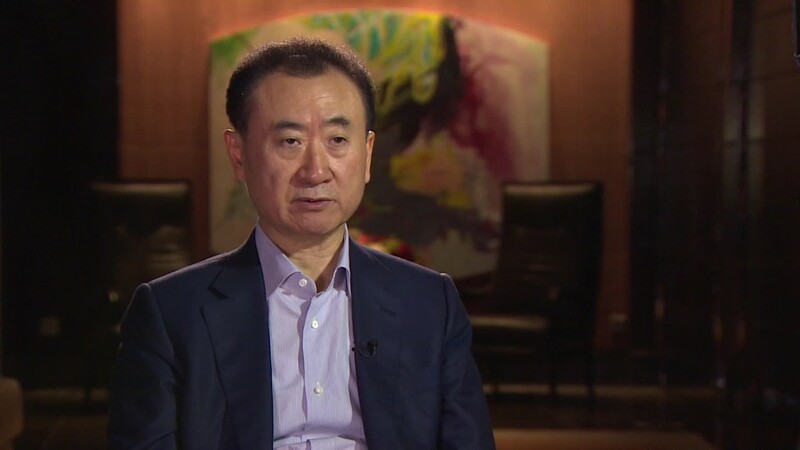 Some experts, however, say they think the pressure on the yuan will wane. "We believe it most likely that outflows will ease over coming months as the economic collapse many are expecting doesn't happen, as expectations of major depreciation fade, and as firms finish reducing their level of foreign currency debt," said Mark Williams, chief China economist at Capital Economics. "In these circumstances, it makes sense for the PBOC to go on intervening to limit exchange rate volatility," Williams said, using an abbreviation of the central bank's official name, the People's Bank of China. China's government has long discussed the possibility of cleaning up its state-owned enterprises -- corporate behemoths ranging from banks to mining companies that are often criticized for inefficiency and wasteful spending. Many analysts have championed the idea of overhauling the state-owned sector as a positive move for the economy in the long run, but it's largely been all talk and no action from Beijing. Derek Scissors, an economist with the data analysis firm China Beige Book, says tackling the issue now could help address what he calls a "crisis of confidence" in the government's ability to manage the changes China's slowing economy is experiencing. "If the government said, 'We're going to stop forcing capital into lousy sectors, where it's just going to die,' I think you'd get less flight, more productive use of capital," Scissors said. "And you start a virtuous cycle, instead of a vicious cycle." But it would be a painful step, with no reliable time frame for when China would start seeing measurable results. Revamping the powerful state-owned companies, which employ millions of people, is also a political minefield, Scissors said. Success would depend on how much political capital President Xi Jinping would be willing to burn pushing through such difficult reforms. A traditional monetary policy tool for trying to discourage capital outflows is to raise interest rates to make investing in a country more attractive. But such a move would almost certainly deepen China's economic slowdown and pile further pressure on heavily indebted companies and local governments. What's more, China's opaque financial system makes it difficult to determine who exactly would be the hardest hit by higher rates. Many analysts are expecting Beijing to further ease monetary policy in the coming year rather than tighten it. The central bank has already cut rates six times since late 2014 in efforts to stimulate the economy. But more rate cuts would create a different headache for China, as they are likely to increase pressure on the yuan to depreciate.